Clear-disc insets frame floating color-pop polka dots on a whimsical pee-toe platform pump from Christian Louboutin lifted by a soaring stiletto and thick platform. The French footwear designer’s iconic red sole—born from a fateful brush with red nail lacquer—adds a fun flash of color to every step. 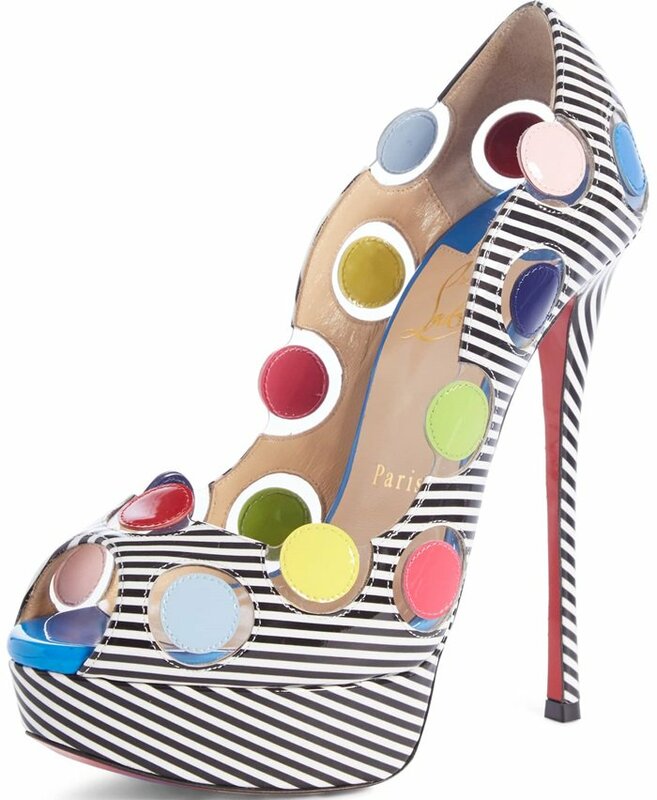 How do you like Christian Louboutin’s polka dot shoes?